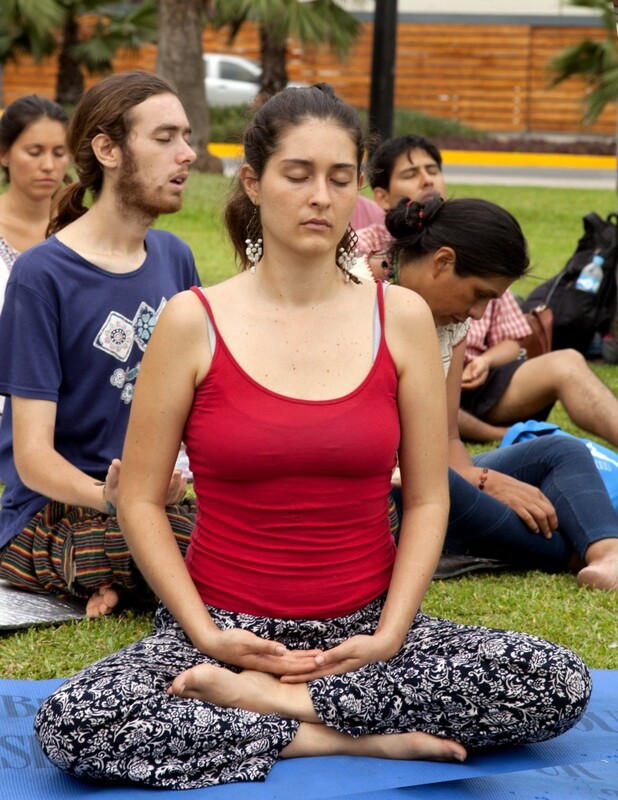 Does Meditation Really Improves Your Creativity? 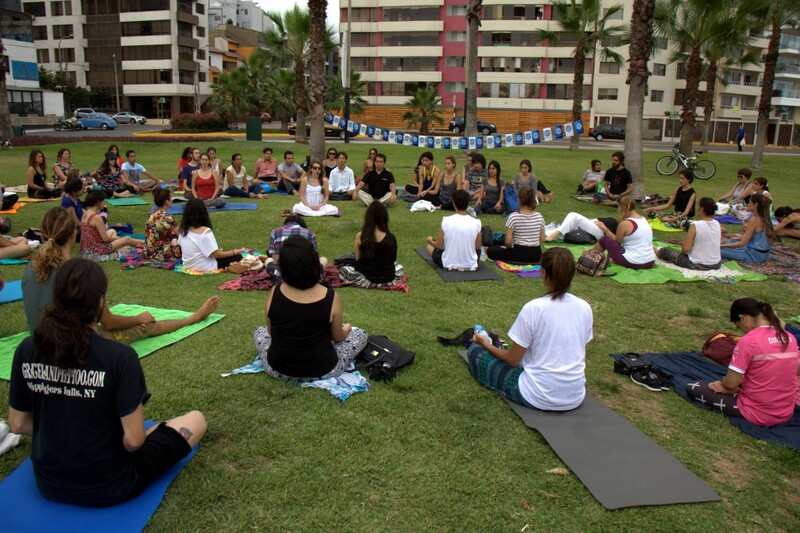 Let me show you what happened on 28th of January, when a group of 105 people got together for an artistic meditation session. 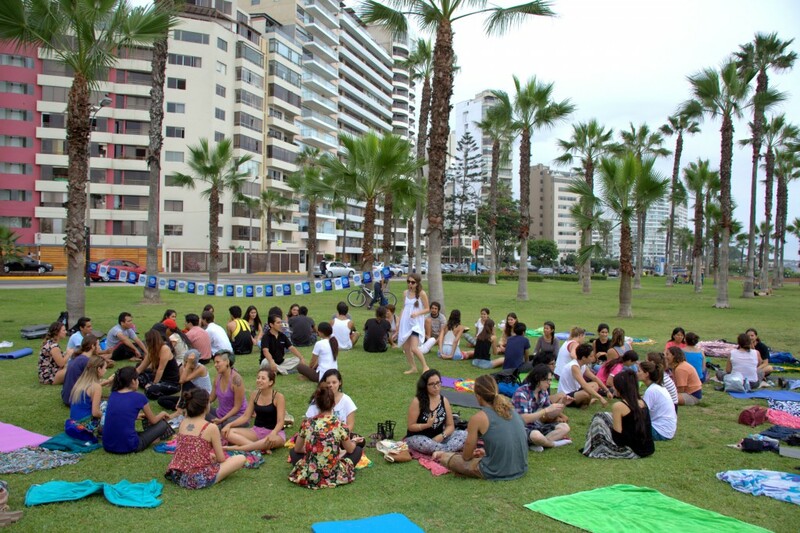 We all made a big circle to meditate, create art and see how meditation can boost your creativity. 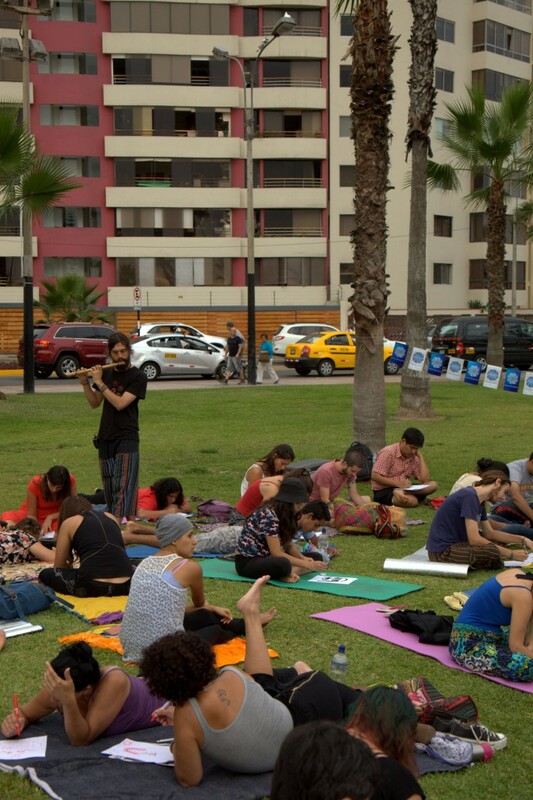 As part of Peace Revolution Activities in Lima- Peru. The session was an initiative of Peace Agents the goal was to promote meditation as a tool to find clarity, be able to concentrate, to have a deeper focus and have the right brain mood to create art. 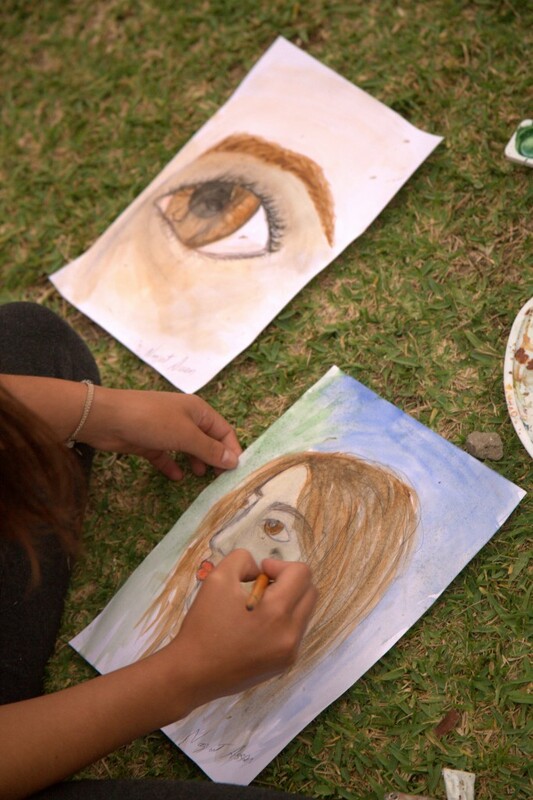 The concept of the activity: art is an inside-out process. For artists is necessity and part of their creation process to go deeper inside themselves to see what they want to create and reflect on their artwork. A process of introspection is part of the creative process. 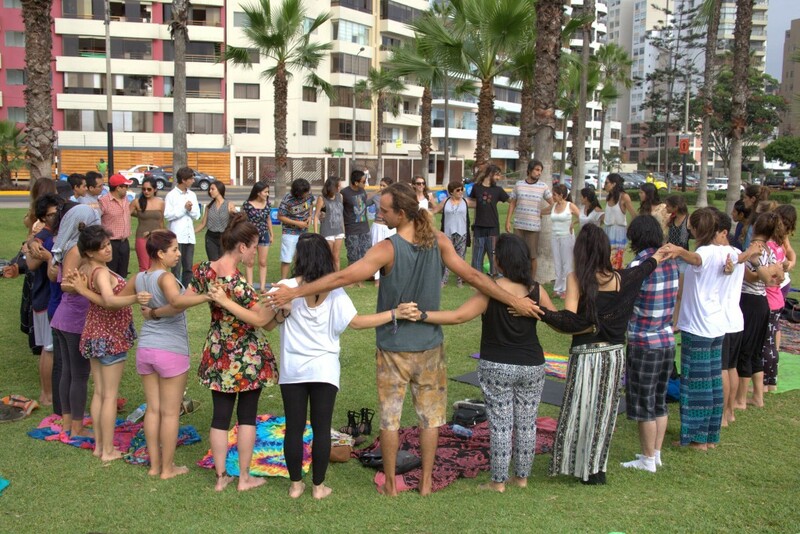 We started with a group hug, were all the participants introduce themselves and did some group yoga. In couples we shared what we think about art, peace, creativity and meditation. Finding inner peace to make the perfect environment for creativity. Sunset and trees were part of our view. Time to create! Relaxing music by Ruy made this moment perfect. Cultivates concentration to get things done not only done but done good, you need to take all your attention to your work and to the details of your artwork. Decompresses your mind. Opens your mind. It helps you see things from new perspectives and with clarity. You are more open to receive new ideas. Open for new concepts that can be apply to your creations. Helps you accept things as they are. Helps you accept yourself, know yourself, accept your achievements as well as it helps you to know your limits. Improves your patience. Patience is a key factor to wait for the right moment and the right idea. Sometimes ideas wont come easily and it will take a while for them to arrive. So is important to sit and wait. Helps you go with the flow. There is a point were creation started and you just follow the flow of your new creation. Accept things as they are. Like I wrote before you accept yourself and also you accept what comes from inside of you and you reflect it on your art work. So yes, meditation can boost your creativity. Making the perfect environment and generating new ideas. This event was done with the support of Ruy Hinostroza and Rodrigo Gatthas both Artist Peace Agents for Peace Revolution. And we want to thank all the participants, we hope to have more activities like this one.